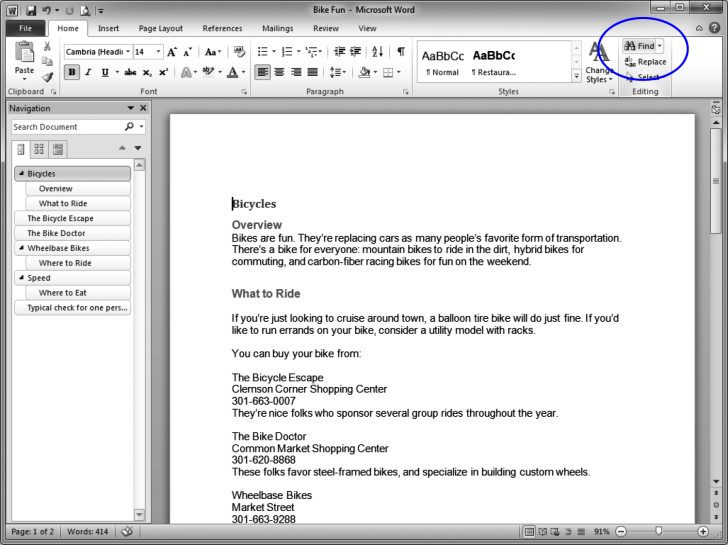 1 Place the cursor at the beginning of the Bike Fun document. 2 Make sure the Home tab is selected. In the Ribbon, click Find. 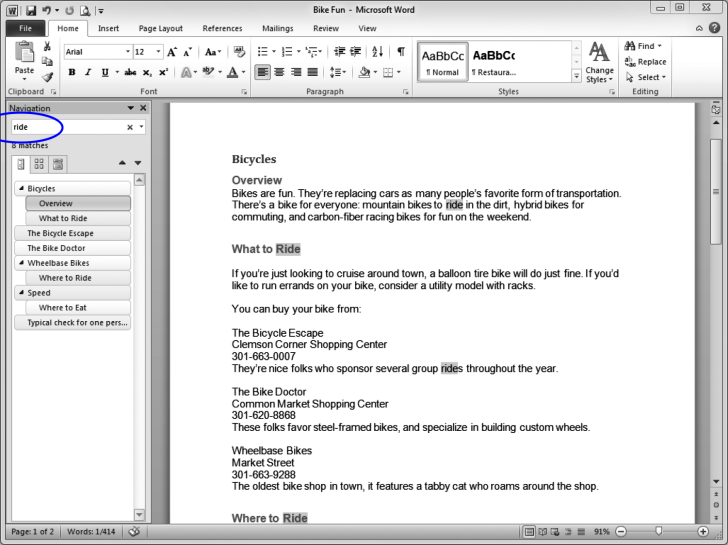 The word ride should be highlighted in the document.